We were very disappointed when the Camp 6 logging train exhibit closed at Point Defiance Park in Tacoma, Washington. The rusty old train cars and tracks were a safe, photogenic place to get terrific railroad-themed portraits. (I, and all responsible photographers, refuse to shoot on active train tracks. The risks are too great.) 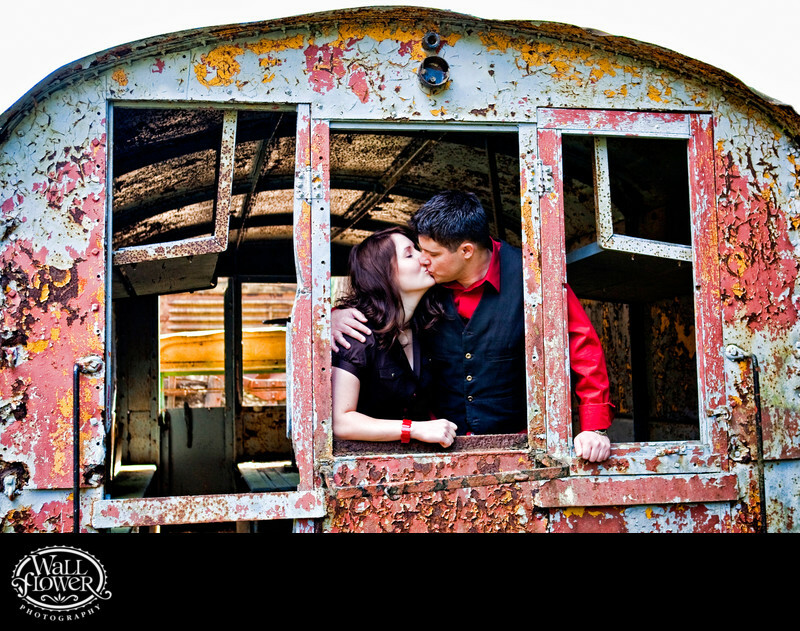 For this engagement portrait, the man and woman climbed right into one of the historic, decrepid train cars, while I stayed on the ground to photograph them kissing as seen through the back windows.